Campaign Complete. This project has ended on June 10, 2018. No more contributions can be made. All funds will be collected by June 10, 2018. AEMALIRE was created by us to improve the way we collect data of Marine Litter. By facing the problem that many of coastline of Svalbard is hard or not to reach at all a Drone can do this in a short time without leaving traces and with high precision. We are sharing experience with other Organisations working with UAV to collect data as for example “The Plastic Tide” to share knowledge and improove technology in this field of use. We will be running 5 summer research expeditions on Svalbard in 2018/19 which is located 1000 km south of the North Pole and 700 km north of the Norwegian Mainland. What we know: Every minute 1 truck full of litter ends up in our oceans. What we don’t know: Where has all the plastic come from? We need to get a much better idea of where it all comes from, in order to encourage the passing of appropriate laws in the places where the plastic originates. Stopping the pollution at source is important, as there is no point in cleaning up the litter if the sources are still generating new pollution. We are planning to deploy a UAV (Unmanned Aerial Vehicle – AKA a drone) and photograph systematically the coastline around the Expedition camps to build a 3D Model of the beach including the litter. Typically the area surveyed on each expedition will comprise a strip of 1km x 500m. This will be covered at a high resolution, generating approximately 192,000 photos. That gives the expeditions the possibility of using a computer recognition algorithm to identify the type of litter and the amount of it. Doing this with a drone is much more effective than doing it by hand as it generates a permanent visual record of data collected, as well as allowing for a wider area to be covered and the litter to be efficiently categorised. In addition to the drone work we will clean up a 100m strip and forward everything to the German Alfred-Wegener-Institut which will investigate in more detail the types of material as we have done previously. See details of earlier workhere through this link to Litterbase. Why this project is important? What are the planned outcomes of the project? We will have more data for Clean up Svalbard, this is a beach clean up program from the Governor of Svalbard. In the last ten years there has been an increase of 50 percent plastic waste on the seabed between Greenland and Svalbard. Much of this trash moves with the ocean currents and ends up on the beaches around the Isfjord in Svalbard. Due to logistical reasons, it is often difficult to identify which areas of the isfjord suffer the largest accumulation of garbage, which is important for planning disposal and for research on ocean currents. ii) Investigate the impact of ocean currents on waste accumulation. The photography will take place during five weeks of summer 2018 and follow standard procedures developed by the international network ‘Dronet’. Garbage is automatically identified using algorithms. The project will have a big impact both locally and internationally – locally, the project will help identify priority areas for the Governor and other waste disposal companies, such as Active in Outdoor Trash. Drone photography will have a great impact internationally by publishing the drone data from the project on the global databases PlasticTide and LitterBase. 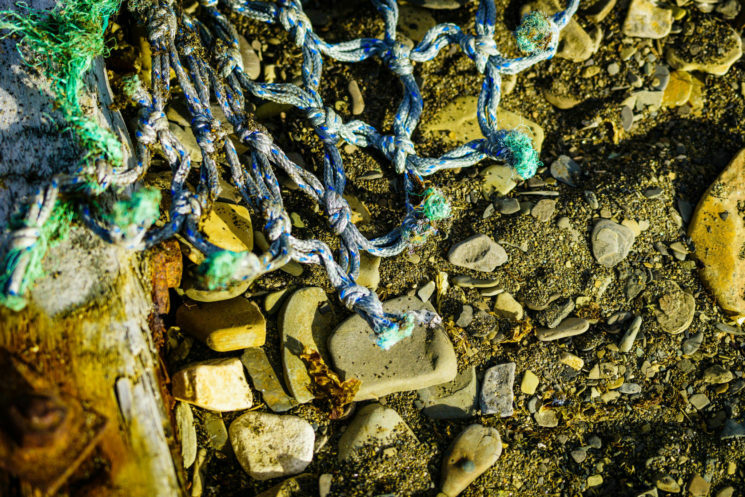 The photographs will be available to anyone researching marine trash and can contribute to increased information about the influx of marine trash to Svalbard. LITTERBASE summarises results from 1,703 scientific studies in understandable global maps and figures and opens scientific knowledge on marine litter to the public. The Plastic Tide harnesses drone imagery from a series of beaches and the power of computer programs, or Machine Learning Algorithms for the more technically minded, to eventually create a program that can auto detect, measure and monitor the levels of Plastics and Marine Litter washing up on our beaches. Eventually helping us to track where plastics and litter go in our oceans, revealing where the missing 99% is in our ocean goes. I have spent about 10,000 Euros of my personal funds so far to acquire a drone and buy the necessary equipment. We still need to fund the transport; camp gear; food; transport on Svalbard and safety gear before we can proceed. This total we require is an additional £15,565, however through this campaign we aim to initially raise £5000 but hopefully exceed our target to cover more of the costs. We can scale down the project if we do not reach the total, however our ambition is to have 5 camps with 10 people each for one week. Pledge £30 – A4 Photographic Print: Stunning photographic print which you can choose from the selection in the main text plus you will receive a thank you postcard! This is a selection of some of the pictures you can choose from for the print. They will be in high definition and printed on high quality photographic paper. Pledge £50 – A3 Photographic Print: Stunning photographic print which you can choose from the selection in the main text plus you will receive a thank you postcard! Pledge £60 – Image bundle: 3 X A4 stunning photographic print which you can choose from the selection in the main text (plus we have additional ones). You will receive a thank you postcard too! Pledge £90 – A2 Photographic Print: Stunning photographic print which you can choose from the selection in the main text plus you will receive a thank you postcard! Pledge £250 -A2 Photographic Print and report: Stunning photographic print which you can choose from the selection in the main text plus you will receive a thank you postcard! We will also create a report with nice images as well as images of our findings and the work we have done clearing up the area! Pledge £1,000 – Join us on the research expedition! This will gaurantee you a place, we are trying to raise funds to cover costs of volunteers but if you would like to secure your place now and cover the funding this pledge is for you! Pledge £10,000 – Help keep Svalbard clean and protected from plastic by sponsoring 10 places on the expedition. If you are a company we will feature your logo in materials we share about the work we do through this project. Kai Müller has been working as a Medic in International projects around the globe. He was in Afghanistan, Iraq, Kosovo, Gaza and besides his passion for emergency medicine he has worked with Greenpeace and has always been always interested in the sea and all kind of activities on and in the water. When Kai started his own company in the Arctic he was shocked by the massive amount of litter on the coastline of Svalbard and decided to do something about it. With his knowledge of working in remote areas and his local knowledge as a Guide on Svalbard he is the right person to lead the expeditions. Anna Lazzarino: Growing up in Cornwall in the UK, surrounded by the sea, Anna has always had a passion for the oceans. When she heard about this project it was a fantastic opportunity to get involved with something to give back to the environment she loves so much. Anna has years of experience in management and leading in the outdoors. She will bring her expedition knowledge and skills to help organise and support the volunteer teams. Whilst also supporting Kai in his research and data collection. Ingrid Marie Garfelt Paulsen: Ingrid has lived in Svalbard for a year. She is as a master student at UNIS studying biology. She is part of this project because of her wish to contribute to reducing the human plastic footprint in the Arctic. Dr. Melanie Bergmann: Melanie is the leading scientist behind all our work. She gets all the data we collect and makes sure the information get in to the databases where they are needed. At present we are awaiting the results of our March Expeditions where we took Snow samples to check for Microplastics. Stefan Schaumeier: A Photographer and Filmmaker with more than 10 years of experience in Media work, Stefan has been with Kai on Arctic Expeditions before and has a real passion for the Arctic. Stefan wants to support the project with his knowledge of Media work to spread the word for us.